RS: I understand a slice of Prashanti Nilayam is tucked away in the bustling city of Chennai which you call home. Please tell us about this house that you live in and its amazing history. So He came and laid the foundation stone. 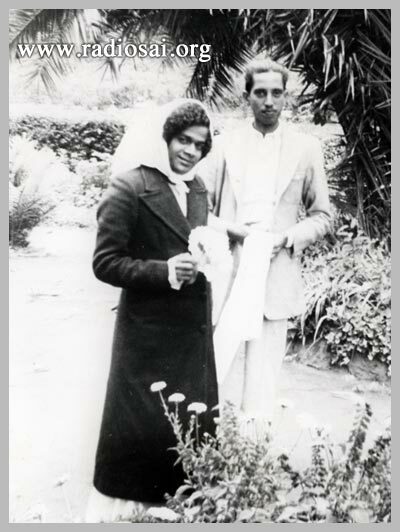 He used to come to Madras quite frequently those times. And He happened to be back in the city when the house was being constructed. So He said, “I want to go and see the house.” But my father said, “Swami, it’s all mud and slushy, Your robe and feet will get dirty… please, not now.” Bhagawan insisted, “No no, I want to come and see.” So He came. We put planks to lay out a path for Him and He came to check out the construction. And then when the house was finally built in 1965, we had a grihapravesham (housewarming ceremony) and Swami came for this as well. My son was born in the same year and we came from the United States, with two babies for the grihapravesham. And after that, He had come again and visited my parents in the house but I was not there at that time. RS: So, four visits, from laying the foundation to supervising the construction to the housewarming and later again. PB: Yes. And many people who come to the house say there’s a special aura in the house because of Swami’s divine tread. In fact, at the time of the housewarming, when Swami was getting into the car, my father ran after Him with a maalai (garland) that Swami had forgotten and he was a heart patient. So, Swami got down from His car and told my father, “Sarathy! You should not run, you have heart problem.” He stopped, massaged my father's heart and said, “You’ll be fine.” And then got back into His car. RS: That was the best jog your dad ever had. PB: Ever! That was so wonderful! Later my mother was very ill, as she had cancer. Swami told her to leave the house to me. And my mother said, “How can I do that? I have two daughters” and she felt bad. But every time whenever she’d come to Puttaparthi after that, He’d ask her, “Have you done that?” We don’t know why but He was very insistent and my sister didn’t mind. She has a house that her husband’s family has. Anyway, we didn’t have any problems. So, my mother finally gifted the house to me and three months later, she passed away on November 24, 1999. RS: Just a day after His birthday! And that’s exactly what happened. He took care of her, because with the cancer of the tongue, a patient can have intense pain and bleeding many times. She had none; nothing of that. She never had to take morphine. 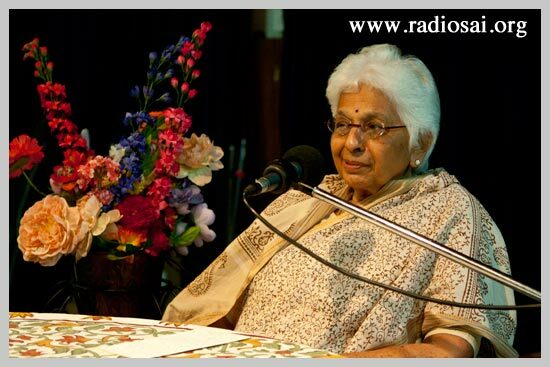 She passed away very peacefully at home with Swami’s grace. PB: And His grace acted as the morphine, cutting the pain out. PB: Absolutely! He took all that pain away from her… the last two days, she was only thinking of Swami, we had bhajans going all the time as she passed away and isn't that what we want? In the last moments, we don’t want to have attachments. And that’s what He did and she passed away in Swami’s presence. He took care of her from the time she came till the time she died. RS: Your mother spent most part of her life serving Swami or singing the glories of God, and then, it was her tongue that was struck with the terminal disease. Did you ever question why it happened to her? Did it bother her – why was life so harsh or unfair to her? PB: No, it never bothered her. She never questioned as to why she got it. She took it as a karmic ending. She said Swami gives us these things at the end basically to take away some karma. You suffer physical illness. So, she never had any thought of “Why me?”, nothing of that sort. No self-pity. No anger, none at all. Just acceptance. 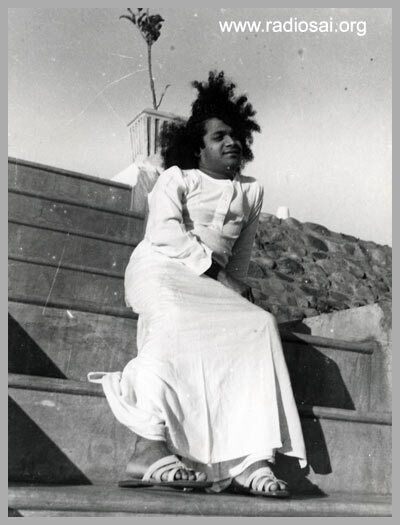 Throughout her life, she accepted what came her way because Swami was there with us our whole life. Knowing that Swami is there with us always is a huge assurance. And yes, adverse things happen to us in life because we have our karmas to go through. But, how we deal with them is what Swami has taught us, and when we do so in the awareness that He is with us, we do not resent the unwelcome experiences of life and don't get angry, nor accumulate further karma while dealing with the experience, nor resist it. By resisting or talking against Swami, we are accumulating further karma. If you say “Why did God give me this?”, self-pity is accumulating further karma. But, acceptance overcomes karma, because once you accept, from that comes forgiveness and other things. So, acceptance is very key that He taught us. RS: And that constant awareness that Swami’s always with you, the conviction that comes from that fearlessness is a huge life skill. PB: Yes, absolutely! I mean, with all of us, that is true. And at every turn of life, whatever was happening... even when I took at the family business, Swami has blessed it. And He said, “You do it.” And every time… like when my mother was sick, I wanted to leave and come. He said, “No, you continue your work there. Your mother will be fine.” So, He might give different advice to somebody. That’s the other thing that I feel very strongly about - sometimes when He gives advice personally, it is meant for that person. Because Swami gears whatever advice He gives to that person, because it’s specific to their situation. Like, He told me not to come back and continue working. For somebody else, He may tell them to come and take care of their ailing mother. His counsel is tailored for each of us according to what is best for our situation. Of late, it has become hard to ask Him everything but we can all follow His teachings. RS: And I found that interesting because you said Swami’s visit to your house was short, only two days! These days, to have a two-second eye contact with Bhagawan is a big thing. And you had Him to yourselves for 48 hours and you felt it was short. I guess it’s all relative. Times have indeed changed! PB: And He did tell us those days: “One day, you will see Me as a distant speck in orange. You won’t see Me this close.” We didn’t believe Him, of course. We thought “No no no! How can that ever be? Swami will always be close.” Sure, He’s a distant speck in orange or gold when you see Him, during the birthday celebrations and big functions. But we do have our wonderful memories of all the trips we took. 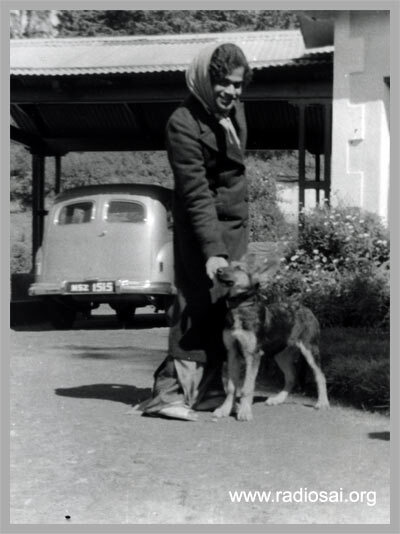 He even took us to Kodaikanal one trip during the early days. There He would have my mother, Sarju Maa, and possibly Rani Maa (I think she was also a part of that trip) to come over so that early morning, at 4 o’clock, He got up and taught them to chant the Aumkaram correctly. And then, He would spend all the time with us, the children. He would play with us, give advice, answer our questions, and so on. He would be sitting there all morning, talking to us. RS: I realize you were very young then, but I just have to ask you this. These married women such as your mother and your aunts Sarju Ma and Rani Maa, they were so deeply spiritual and committed to Bhagawan. And yet, their husbands were latecomers into the movement. It was these women who led this spiritualization of their family life. Did Bhagawan give them any advice on how to handle husbands who don’t share your enthusiasm for Swami or don't hold the conviction that whatever Bhagawan said is the law? And let's not forget that these are traditional women raised with Indian values. How did Swami say they should handle their family expectations with their spiritual commitments? Have them on side, but keep them informed and involved, and then they will change by seeing what’s happening to you. And that’s exactly what happened. Even when my father was not a believer, he was a very generous, good-hearted man, and he was not anti-Swami. He just was not a believer in all these things. But once he got to know Swami, there was no looking back. Though he never came to Puttaparthi, he saw Swami in Madras. RS: So the best way to influence your spouse is through personal transformation and example. PB: Absolutely! That’s the only way. That’s what Swami would tell them. And He’d give them even detailed advice on family life, quarrels, how to deal with your husband, and all of that, so that family life should be maintained, with children and all of that. And by your example, your husbands will eventually come around. RS: And despite such intense devotion, He never allowed them to step outside of their domestic reponsibilities. They had to maintain that. PB: No stepping outside the boundaries of family life. And those days, that’s what people did anyway. Nowadays, it’s different, people are ready to drop family life at the drop of a hat, but not then. And they did bring their husbands. It’s a matter of effecting change in the other person. And the husbands of both, Rani Maa and my mother, did come around in the end. In my family, the women are the forerunners. It goes back to my grandmother. You know, they were all women of great strength and spirituality who were very important for the family lives. That is why we were brought up with the feeling that we can do anything. This self-confidence Swami has given. RS: I think the one thing that’s lacking in the West with all its progress is young women not having enough self-esteem. PB: Yes. You need the spiritual base in which to grow. And then you have self-esteem. RS: Yes, very true. Now, having known Bhagawan for over 62 years, at the time of recording this interview, how would you describe His greatest impact on you as a person? PB: It’s very difficult to say that. PB: Because having known Him since I was 12 and I’m now 75 He’s moulded my entire life. I can’t say He’s had one single impact, but my whole life has been moulded by Him and it’s been devoted to Him. Even though I’m in the world, doing the worldly things, Swami is always the background. He’s been like a member of our family and it’s such a close relationship that you feel like you’re encompassed with a security blanket of His love. Main thing is His love. That’s what comes. He’s told us so many times, “You and I have a personal connection,” He said and continued, “from My heart to your heart, we have a personal connection.” That is why I’ve always maintained the personal connection and I’ve never been involved with any societies or groups. For us, it’s been a very personal commitment to Swami. And He is like the guiding light for us. I don’t know what we would have done without Him. And He’s been taking care of us for four generations – from my mother, for my sister and I, our children, and now the grandchildren. He brought the grandchildren to His school so that they may be raised in the correct way, and is also guiding us thoroughly, and it’s wonderful that all the members of our family across four generations are devotees and have the same love and regard as we have. And for that, we are highly grateful to Swami. RS: You talk so warmly of Him being a family member. Are there times when you find yourself not obeying what Swami has said and how do you react? Do you feel scared if you disobey? But no, we were not scared of Him like that. We never see Him as a wrathful God. He’s a loving God. He’s an absolutely loving God, someone in front of whom you can put anything and He will forgive you. And the one time when I did disobey Him, I have regretted it all my life. When we were little, I never used to open my mouth and sing because my sister was such a good singer. And again, it’s an ego problem. She was so good and I didn’t want to sing. I used to play the violin. So, when we used to sing bhajans, Swami used to say, “Prema, sing. Open your mouth and sing.” So many times He told, but I never did it. I regret it even today because for my own sake, I could have sung bhajans. When Swami tells you these little things, they seem little but they have far-reaching consequences. And I think it’s very important for us to do it and not try to analyze it because do we know more than Swami. RS: Because He’s watching us all from above and He has a bird’s eye view of everything. He knows the past, the present, and the future. PB: Exactly! If we start judging, are we as great as Him? No! We have to accept that Swami is there and that He knows best. RS: What is your most precious takeaway from the Sai experience, your most valuable lesson? 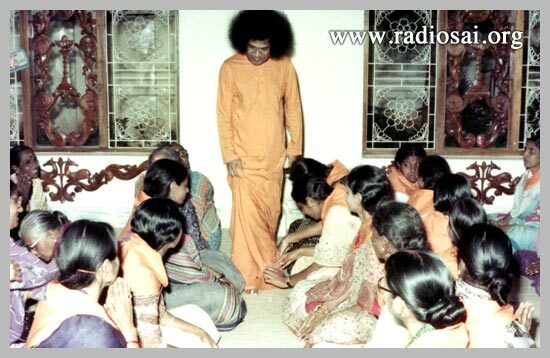 PB: Growing up with Swami, the one thing that I felt is that the best way you can serve Him is to follow His teachings. And His teachings are many. And now, all of us cannot follow all of them. So I chose to pick a couple of teachings and live them fully. Swami did tell us that you should always have a big heart. I feel you have to open your heart to people. So, the lessons that I’ve learned, is to try to help others as much as I can and not hurt. And the other thing is just open your heart with love. So, to me, the message is love. And do as much good as you can. And sometimes, you don’t have to do good on a global scale. At times, people around you need it. When I was running my company, all my employees were my family, for I treated them like that. It is the same thing now in my Chennai house, they’re all my family. We take care of them. And so, all of them have become Swami devotees, not because I have a picture and I’m worshipping Him, but somehow, they’ve all become Swami devotees. In fact, whenever I come to Puttaparthi, their desire is “Bring me a photo of Swami, bring me vibhuti.” That’s all they want. So basically, it’s a very personal thing. I don’t believe in big global schemes but what Swami has taught us, I just want to put it into practice. The other thing with Swami that we have learned is to have unquestioning and unwavering faith in Him. Through all the 62 years, we have not wavered in our faith to Swami. And I think that is a very important aspect for people to understand, that you have this total faith in Him and He takes care of you, but He takes care of you even if you don’t have the faith. That’s what we have to remember. He’s not taking care of me because I’m doing something for Him and because I have faith. But when we have the total faith that Swami is the end all and be all, then we don’t want to do something that will displease Him. We don’t want to go against His wishes. But knowing that and doing something that Swami doesn’t want you to do, I think that must have repercussions. I see young people nowadays who commit at Swami’s feet, and Baba is giving them lessons. He’s telling the young people and the older people, we all have to take the message - that don’t spend too much time in front of television or on the cell phone. And they all sit at His feet and nod in agreement but when they go back and they do just that. Can we do so if we have full faith in Him? I mean, each one of us should take one lesson and try to follow that. And you’ll find the results at the end, because sometimes, it’s too difficult for young people particularly, or even us elders to take all His lessons and try to be the perfect person. We’re not. No, one can get angry, and yell at somebody. All this happens. But, try and take one or two of Swami’s teachings and put them into practice. And every morning, after the prayer, one of the things that we say is: “Swami, think through me, speak through me, and work through me.” Leave the rest to Him. RS: I’m sure our listeners would have enjoyed this interview very much. Thank you and Sai Ram. PB: Thank you for having me. Sairam.